Fall is approaching rapidly. If your climate is anything like mine, fall is short. So, take advantage of your time with a fall bucket list in your bullet journal. Did you hear? I’m super excited about Fall. So, of course, I am creating a fall bucket list. In fact, last year I created two. One was more of a personal bucket list, and the other was a family fall bucket list. Fall is super short here in the great state of Montana. We’re lucky to get about a month of nice, cool, fall weather before it turns into Antarctica around here. So, I like to start my list a little early, plan out my events, and make sure that I take full advantage of this wonderful and short season. 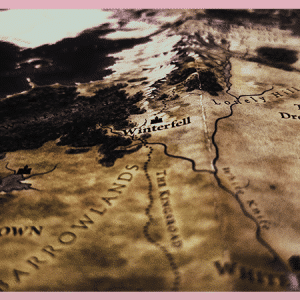 So, in this post, I have a lot to cover. 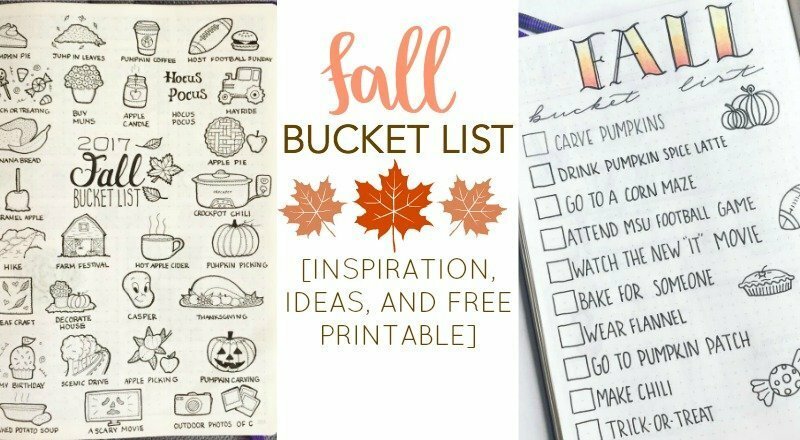 I’ll show you some incredible fall bucket lists created by people all over the world, give you some ideas of things to put on your fall bucket list, share some awesome fall-related stationery from small business owners on Etsy, and lastly, give you a free printable bucket list. There are so many unique and fun ways to create a bucket list. And there are no requirements on how many items have to be on it, how you have to set it up, etc. The only thing I would suggest is having a checkbox or some other method of marking off each item as you do it. This could mean creating a checkbox next to each item, coloring in a doodle related to each item, or just placing a checkmark or X next to items you do. I rounded up a number of photos from Instagram to share some inspiration with you. I wanted to cover as many different styles as possible here, from the super intricate to the more minimalistic. Again, your design and layout is completely up to you. This one, from @feefee_author is wonderful. I love the way she used both pages and centered her title in the middle. 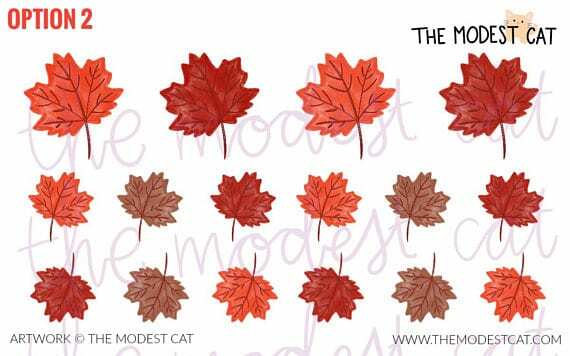 The simplistic doodles are such a cute way to add some fall festivity. And I love that she added drop shadows to her checkboxes. It’s such a creative touch. This one, by @brown_voodoo is similar to the list above. The title is centered in the middle of two pages with doodles and text items surrounding it. Sara’s title is absolutely adorable with the maple leaf in the background. And, I love her doodles, especially the Ugg Boots and the Pumpkin Spice Latte with the cute face. How cute and festive is this bucket list from @theartsymarket? She used a variety of washi tape and stickers to create this page. 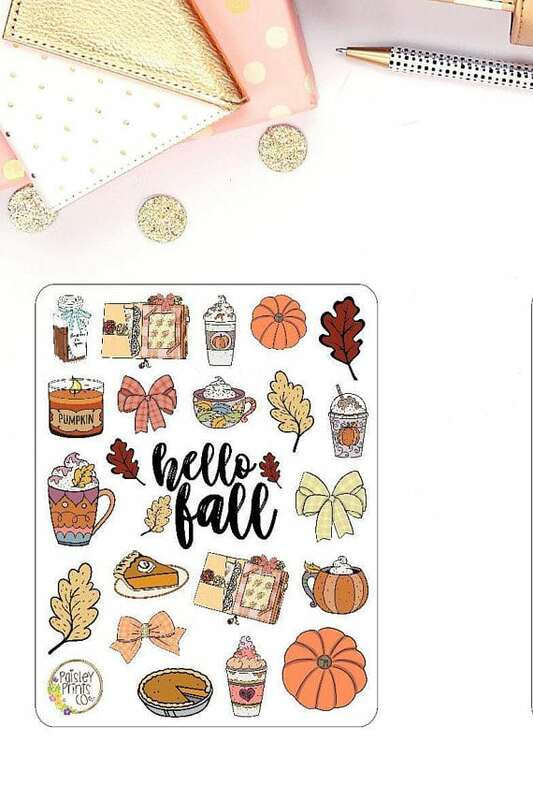 In the comments, she mentions that she orders her stickers and washi tape from Amazon, but also checks out the planner section at her local Michael’s and Hobby Lobby. This minimalistic spread by @dottedlinesofmine is perfection. The lines are clean, the drop shadow on the checkboxes is a nice simple touch, and the header looks wonderful. The header she uses is one I call faux-block lettering, which I teach in my Rock Your Journal E-Course. 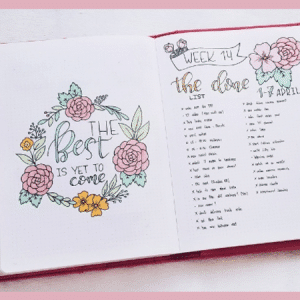 I also have an entire post dedicated to unique headers you can try in your bullet journal. Nicole from @plansthatblossom never disappoints in her collection pages. Look at the detail she puts into each individual doodle and the perfect spacing between each item. I love how she makes her doodles pop by adding a thicker outline. Plus, she has an amazing collection of fall bucket list ideas for you to draw inspiration from. This was our family’s bucket list from last year. I wanted to share this image because I feel it is a mix between minimalistic and creative. Instead of using lots of doodles, I opted to use different styles of lettering. There is a mix of cursive, faux-calligraphy, capital print fonts, and standard print fonts. If you struggle to draw, try using different lettering styles to add a little extra punch to your page. Megan from @pageflutter created this simple and classy fall bucket list in her bullet journal. I love the classic centered list of items and the small fall doodles. This is a wonderful option for a layout if you have a lot of items on your list or if you want to quickly write them down and then fill in the blank spaces with doodles or stickers later on. There are literally thousands of items that could go on your bucket list. But, be realistic about your timeframe and what you can accomplish. Bucket lists are meant to be fun, and for some people, not being able to complete everything on their list may upset them. So, be realistic and choose the things that matter most first, and fill in the blanks as you go. Also, be sure to check out my latest fall doodles video below! I really enjoy supporting small business and buying my crafting and hobby supplies on Etsy. Stickers and washi tape are great additions to your bullet journal supplies and you can find tons of patterns and designs from shops on Etsy. Most of them are very reasonably and competitively priced. I encourage you to follow the shops you like on social media. Many of them will offer limited time coupon codes, discounts, and sales in their shops. 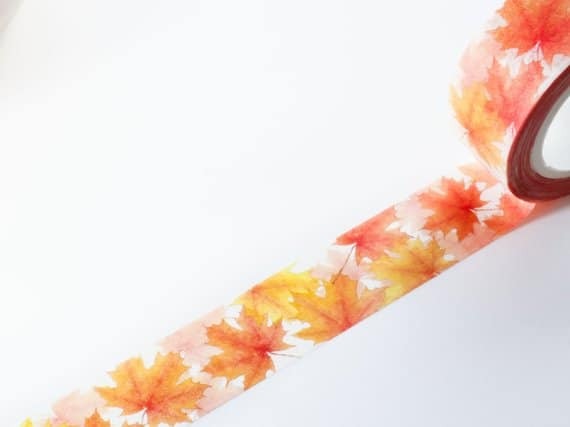 Below are some of the fall inspired stationery supplies I found and love on Etsy. 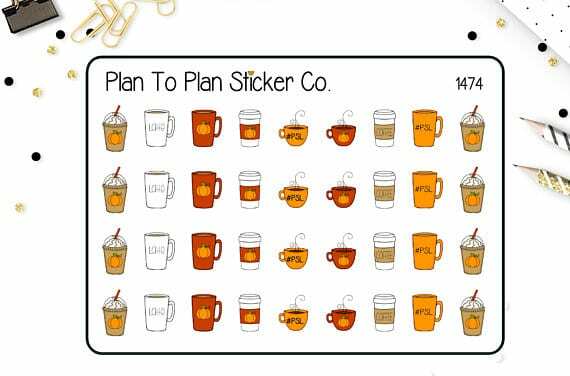 How cute are these little pumpkin spice latte stickers from Plan to Plan? 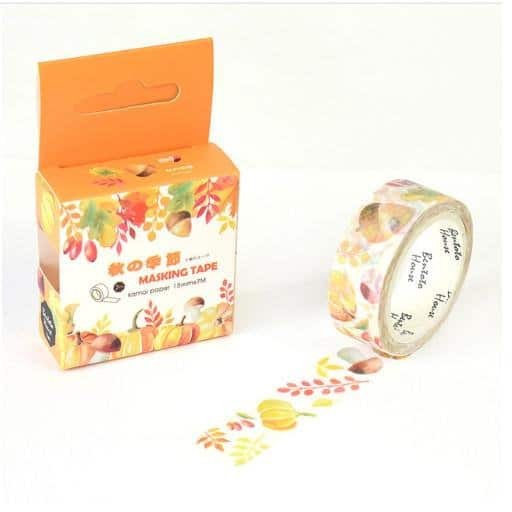 This fall themed washi tape with leaves, twigs, and acorns from Sw KITO is just too cute. 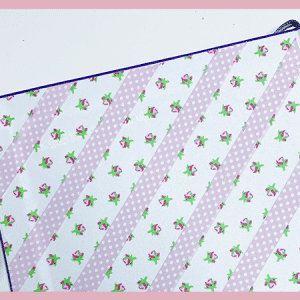 This printable will fit A5 size journals and comes with light gray cut lines to ensure it fits perfectly. 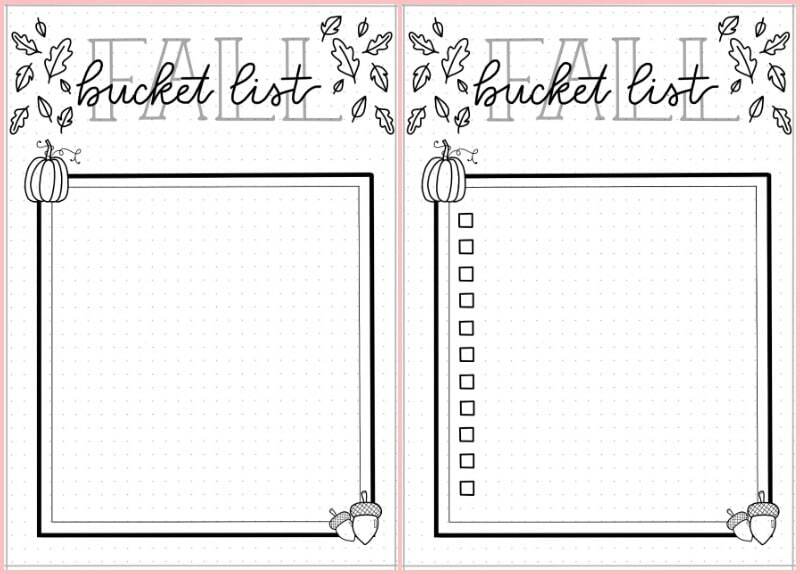 I don’t normally include a dot grid on my printables, but wanted to try it out with this bucket list printable. 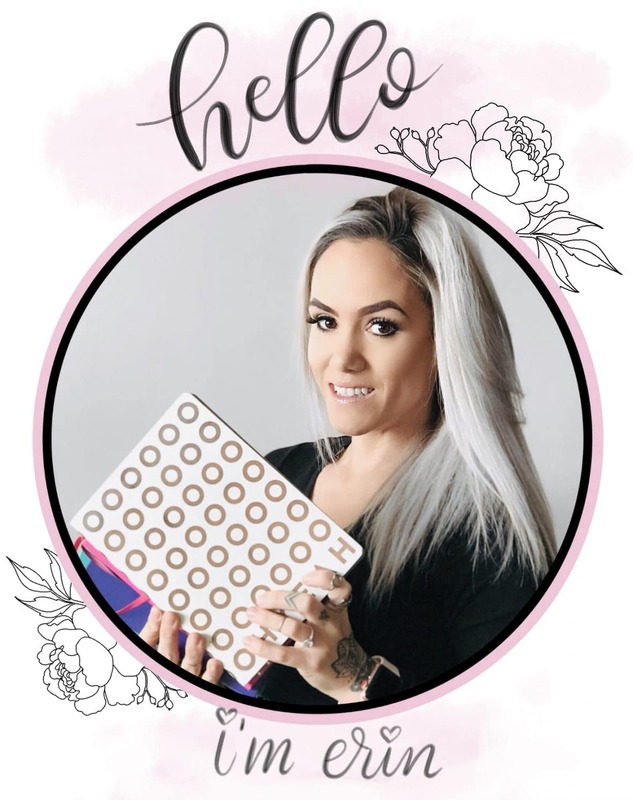 Let me know if you like printables with the dot grid or without the dot grid in the comments below. When you download this PDF file you will get two versions. One comes with premade checkboxes and the other is blank in case you want to add doodles or stickers and create your own layout. Want to gain access to all of my free printables? Follow this link and sign up to become a member of my VIP Resource Library. printables with the dot grid.